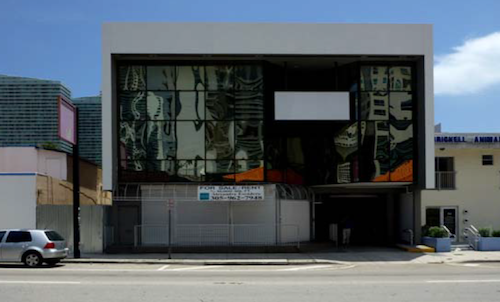 Mike Berkens wrote about the parent company of the .CO Registry, STRAAT Investments, which “purchased a 16,000-sq.-ft. building in Miami’s Brickell area to house its growing headquarters.” This building will also become a workspace known as Building.CO. You can see a photo of the building above, which is located at 120 SW 8th Street, in the Brickell neighborhood of Miami, and just half a block to a major Metro Rail stop. It is a three-story building, erected in 1982, and it was the original headquarters for Dr. Sanfford Ziff, founder of Sunglass Hut. The building is three blocks away from the company’s current office. According to Jose Rasco, Managing Director of STRAAT (and the person who is managing the project), when the company finishes the renovation, there will be about 16,000 square feet of workspace, including a retail area on the first floor. The STRAAT companies will occupy 0ne of the floors, and the remaining office space, an open floor plan, will all be rented to other tech entrepreneurs. In addition to the office space, the building has a parking lot and a great roof terrace for relaxing and entertaining. Although there are plenty of restaurants in the area, the building will have a kitchen and lounge area. “While the space is not limited to companies building on .CO, those that have joined our Membership Program (i.go.co) will get special treatment. For example, if you’re based in San Francisco and you’re stopping in Miami for meetings, you can have access to the facilities at a reduced rate,” said .CO Registry CEO Juan Diego Calle. Judging by the company’s current office space, I am sure this is going to be a very cool space, and it will likely boast top of the line meeting areas, which is good for startups and upstart companies. 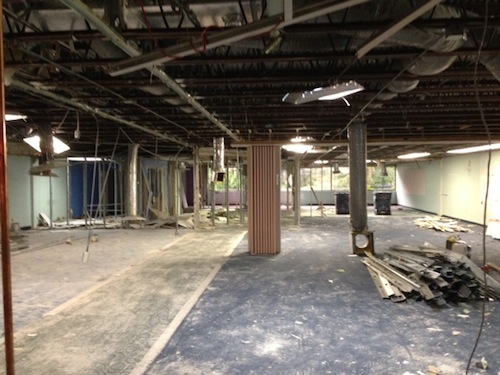 Below, I have attached a photo of the interior of the now gutted building. You can also have a look at the pdf file of the study plans for Building.CO, which I assume the company will use to lure tenants to the workspace. The company started renovations a month ago, and they are hoping to open Building.CO later this year. I remember reading about an Indian man, from India, who was registering many .co’s——so I registered some. They are expensive to renew and are not .coms……live and learn. Oh well. All I am saying is that generally there are people succeeding where others may fail. Kinda funny how .co relied a lot of domain investors and the owner trashed domain investors. Now its for start up community. Pump and dump and .co is not a stable extension for website owners. I can see his perspective though. Most domain investors don’t develop their assets, and the more developed domain names, the better for the life of the extension. The .CO Registry and other registries need domain investors for cash flow, but selling to them also sort of harms the extension in some ways. I’d rather sell all my domain names to end user buyers, but I rely on sales to other domain investors, too. Wish them best of luck they are doing a great marketing job. How did Bahamas.co work out for you? Weren’t you part of the founders program? Still own it… Monetized with Adsense and I think it’s against TOS to share info about income. Reminds me that they just emailed me to take possession of it… Thanks for the reminder!